There is concern in Salta over the performance of automated tallying ballot boxes. 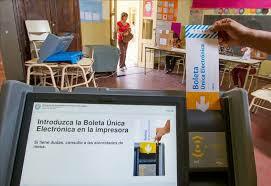 Bad news over electronic ballots have become recurrent in the Argentine province of Salta. Numerous setbacks with the technology employed had also been recorded during electoral processes back in 2008 and 2013. Unfortunately, those bad experiences did not functionas warnings and once again, during the Simultaneous and Obligatory Open Primary Elections (PASO) that took place last April 12th, multiple flaws in the machines marred the day’s results. At the PASO, hundreds of devices presented different kinds of setbacks, and as might be expected, political leaders denounced fraud and requested the termination of the contract with the company in charge of promoting and preparing the technology for future electoral processes. Specifically it was denounced that for instance, 299 (25%) out of the 1188 ballot boxes used at Salta’s capital had to be replaced. Moreover, there were complaints that serving in the election there were devices using unauthorized software, and that out of the 5700 machines employed, only 2862 had been sealed with a security system. There is also an alert on the flaws in the printers, which prevented the printing of dozens of opening and closing minutes, as well as delays due to the poor training of technicians. What happened at the PASO brings up once again the focus on the performance of the electronic ballot box provided by the local company MSA (Magic Software Argentina). It raises concerns on how it could behave during the general elections that will take place on July 5 in Buenos Aires, where the same technology will be used but with twice the number of voters. We have already talked about this when MSA won the tender (among vices and arbitrary decisions) despite being the most expensive bid, and the company having the least experience. Besides, although this system is offered as e-voting, it is only an automated tallying system and maintains the weakness of manual voting. The rash of bad experiences in Salta gives rise to the need to demand the revision of the system provided by MSA, not only to safeguard each Argentine citizen’s vote, but also to guarantee the reliability and legitimacy of the representatives elected. 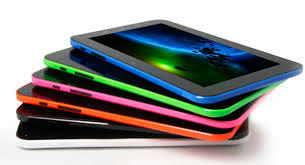 The Spanish autonomous community of Canarias will use tablets for the transmission of results. The use of technology in the delicate and complex process of organizing elections continues to expand in Spanish America. In addition to the two global benchmarks of the region—Brazil and Venezuela—, there are other countries and regions joining in, such as Ecuador, Colombia, Honduras, among others. Two regions where technology will come closer to voters in the coming months are Mexico and the Spanish autonomous community of the Canary Islands. In the Canary Islands, the authorities have authorized the use of tablets to speed up the transmission of results. According to the technical specs of the exercise, 1,124 tablets will be used next May 24th at the polling stations where councillors and deputies will be elected, which will speed up the process of vote tally. This initiative shows that there are procedures that make the benefits of electoral technology evident in terms of optimizing voting processes and enforce guarantees. In Mexico, where elections will be held in June, the National Electoral Institute (INE) has not made any progress in the development of the automation pilot test that had been promised for this year. However, the state of Chiapas will implement an online voting model that will enable citizens living abroad to participate in the elections. The process is very simple (registration, password generation, and ballot casting), and will set an example for this country, in terms of how technology can become a means of political inclusion. Parallel to these experiences, Honduras joined the group of nations that seek to generate the legal platform that enables e-voting. A bill is under way in the Parliament for the automation of the 2017 elections. This would allow the region (which has experienced strong political frictions) to find a mechanism that guarantees the electoral will, and along with it, the path to stability. 2015 is already under way and there are several initiatives that put under the spotlight some of the objectives which some countries are pursuing in electoral matters. 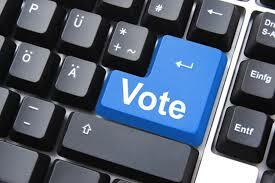 The good news is that most of the ideas are based on the implementation of e-voting best practices. It’s hard to resist change when there are neighbors out there who are determined to have the best electoral technology for safeguarding the people’s intent. This is what Lithuania is experiencing right now. The country is evaluating the possibility of going to online voting, somehow emulating the model used by other European nations such as Estonia. Minister of Justice Juozas Bernatonis, and the Minister of Transport and Communication, Rimantas Sinkevičius, announced that they have proposed various legal amendments, seeking to implement one of the most advanced types of e-voting: online voting. The initiative follows a public survey which revealed that 65% of the population approves of this voting mechanism. According to the information disclosed so far, aside from revising the laws in order to authorize electoral automation, Lithuania is also studying the Estonian electoral model toward its implementation. Estonia recently gave the world a lesson on online voting, as on March 1st, during its parliamentary elections, it got 30% of its electorate (176,328 voters) to vote online. This country has the world’s most sophisticated online voting system, going as far as to allow voter authentication through cell phone, as well as the addition of a digital signature to each vote. The National Electoral Commission of Estonia has stated that the success of remote voting in the country is due to the fact that its use is optional and it is done before the actual electoral event. Moreover, the system has several features that add value, such as allowing voters to send as many e-votes as they wish, of which however only the last one counts. Traditional voting for the entire electorate and postal voting for citizens living abroad are still available for those who prefer such choices. It is even possible for those who have previously voted online to attend a polling center on Election Day and vote manually, overriding any e-vote previously cast online. Lithuania has begun the path toward a difficult yet attainable goal: to allow its citizens to replicate the best practices in e-voting, which are also successfully being implemented by other European nations such as Switzerland—a pioneer in online voting—or like the US and Canada.